So I thought it might be helpful to share how I find the time to do things like wake up early, stick to a morning routine, workout everyday, eat healthy, read lots of books and meditate. And that’s because I have a feeling you might want to do some of these things too, but you’re ‘too busy’. 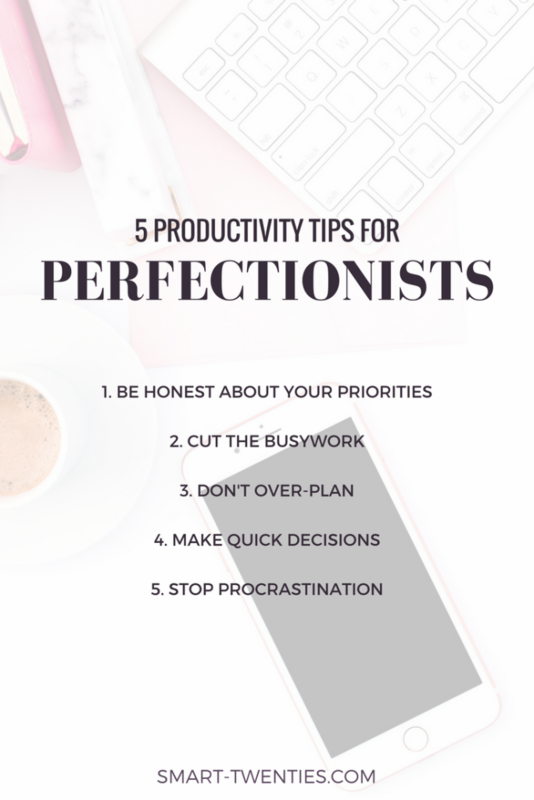 Perfectionists love being too busy! And that’s because it feels so damn good. Even though we hate feeling like we don’t have time for anything, being ‘too busy’ makes us feel like we’re productive. And it make us feel like we really are trying our hardest to get the life we want. But the whole ‘too busy’ thing is just procrastination. We’re procrastinating because we’re scared we’ll never be able to live up to our insanely high expectations. And the easiest way to avoid trying (and failing) to live up to these expectations is to fill up all our time with excuses and Pinterest and Netflix so we’re just ‘too busy’ to give it a real go. 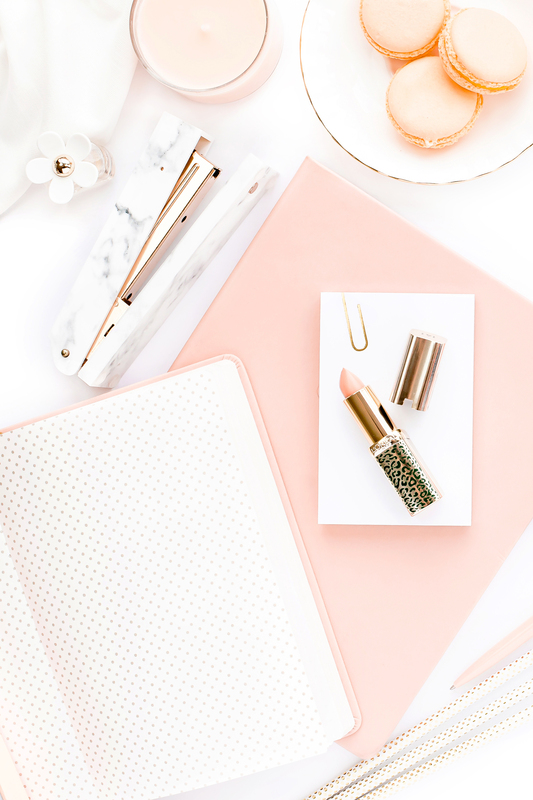 So today I’m sharing how I put a stop to being ‘too busy’. And I hope you find it helpful! Ok, so there are obviously certain things in your life that are really important to you – say it’s study, health, fitness, your career, travel, personal development, friends and family. And then there are the thing you plan to do with your time – studying, waking up early, working out, eating healthy, pursuing opportunities to progress your career, saving money for travel, reading everyday, catching up with friends and family. And then there are the things you actually do – sleeping in, procrastinating, watching Netflix, spending hours on Pinterest, looking at your iPhone when you’re with friends and family. This is just an example but you get the idea – it’s SO easy to forget that what really matters is what we actually do with our time, not what we plan to do. And half the time, we’re ‘too busy’ doing things that don’t even matter! So the trick is to get the things we plan to do and the things we actually do in alignment as best we can. Because that’s what will get us the life we want. And then just take note of where things don’t match up. Don’t try to blame anyone (including yourself) or make excuses for the mismatches. Just take an honest note of them. And ask yourself whether what you’re doing with your time is what you want to be doing. The key here is just to build awareness. And to maybe realise that, although you’re ‘too busy’, you’re spending a lot of time on things that don’t really matter. Busywork is procrastination at it’s finest. I’m talking over-planning, over-editing, pretty formatting and re-doing anything that doesn’t actually need to be re-done. That, coupled with the belief that these things must be done before we can move onto anything else. One of the reasons we LOVE to get caught up in busywork is so we have an excuse to avoid the hard stuff (i.e. the stuff we might not be able to do perfectly) – writing that assignment, going to the gym, waking up early, applying for a new job. We want to avoid these things because we’re scared we’ll fail, we’re scared we’ll be rejected, we’re scared it’ll be too hard, we’re scared we won’t be able to stick with it and busywork just seems so legit. By obsessing over the things that don’t really matter (which make us ‘too busy’), we get to stay in our comfort zone. But that’s not where any of the magic happens. I know it’s easier said than done, but building your awareness around how much busywork you do and how it’s stopping you from getting the life you want is everything. Once you have that awareness, you can start to call yourself out when you’re getting caught up in the busywork. And then you can put it to the side and do the stuff that really matters, as scary or uncomfortable as it may be. So just take note of how much time you waste doing busywork and start to think about what you’re trying to avoid. What does comfortable busywork prevent you from having to do and why don’t you want to do it? Ok, while we’re on the topic of busywork I want to dive into the whole planning vs over-planning thing. Because if you’re a perfectionist like me, it’s likely you don’t really know the difference – there’s only one way to plan. And it’s to plan everything perfectly. A trip to the stationery store to get the cutest journal or diary you can find (even though you only used 3 pages of the last one you bought), hours spent on Pinterest looking for advice (even though you’ve heard it all before) and basically just doing anything and everything you can to avoid actually having to start. For perfectionists, I’d say at least 50% of planning is procrastination. Which might not be so bad if we actually ended up following these plans. But usually, by the time we’re finished planning, our excitement has worn off and we’re over it. Or our plans is so intricate and intimidating we have no idea where to start, so we don’t. Here’s what I’ve found works for me – less planning and more doing. Act on your plan at the earliest possible time rather than the latest. Which basically means you’ll need to act on your plan before you feel ready. It’s hard. But you can do hard things. Another way that perfectionists procrastinate is by not making decisions and letting ourselves stay confused (which wastes so much time). We don’t know what to do with our life. We don’t know which gym to join. We don’t know how to find time for meal prep. We don’t know how to start a blog. We don’t know whether to go back to school. We don’t know whether to go overseas. We don’t know how to wake up early. And we feel like we’re being responsible when we do this – bad decisions are a waste of time. But bad decisions aren’t a waste of time. What’s a waste of time is not making any decision at all, especially when you already have all the information you need to make it (and you really don’t need much). Be honest with yourself about whether you’ve be putting off a decision out of fear. Fear it’s the wrong decision, fear it might not work out, fear you won’t be good enough, fear you won’t be able to stick to it. All we can ever do is make the best decisions we can with the information we have at the time. And it doesn’t take long to get that information. So I encourage you to make those important decisions as quickly as you can, especially if you’ve been ‘thinking about it’ for months or even years. 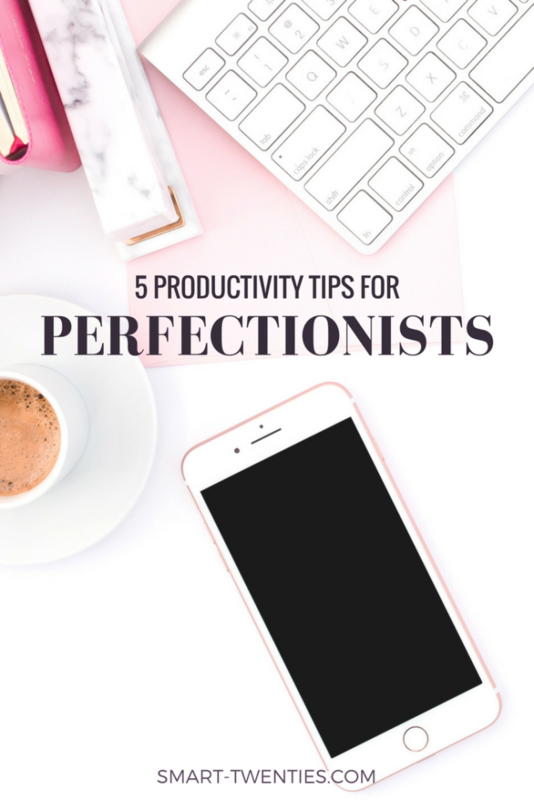 As you’ve probably realised, perfectionism and procrastination are a match made in heaven! Perfectionism is fear (fear of failing, fear of embarrassment, fear of rejection) and procrastination is avoidance (avoidance of fear and avoidance of discomfort). And it makes sense – we want to avoid the things that make us feel scared and uncomfortable. But if you’re a perfectionist, procrastination is the biggest thing stopping you from getting the life you want! I mean, just imagine all the things you’d achieve if you didn’t procrastinate! Because this is such a huge thing, I created a free 7-day challenge for perfectionists (called Get Out Of Your Own Way) to walk you through the process I went through to reduce my procrastination by what I estimate to be around 90% (I still struggle with it every now and again haha). And in the challenge, I’ll also teach you how I stopped letting fear and self-doubt hold me back from doing all the things I wanted to do! 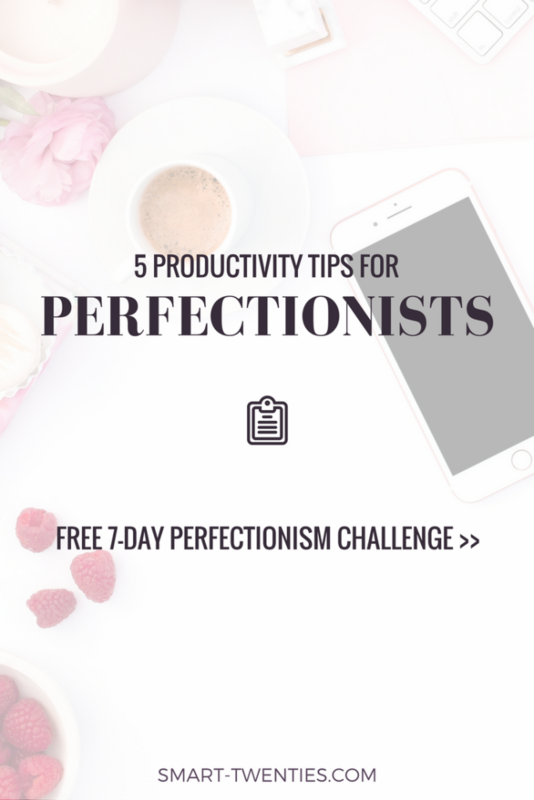 Sign up for my free 7-day challenge for perfectionists to learn how to stop procrastinating! Just click the button below to get the challenge sent straight to your inbox – you’ll get the first lesson as soon as you sign up! That’s it for today, I hope it’s been helpful! I really like these tips! Especially the part about being honest to yourself, I think that’s the most important. As a former perfectionist I recognize myself a lot in what you are writing. It’s like we have this idea in our head that everything we do needs to be perfect, otherwise we see it as a failure. The worst part about it is that it gets in our way of living our lives to the fullest. It’s so great of you to have a challenge like this 🙂 I hope it will help a lot of people!